Make this comfort food classic the speedy way with this easy recipe for Instant Pot chicken and dumplings, and have it on the supper table in no time! 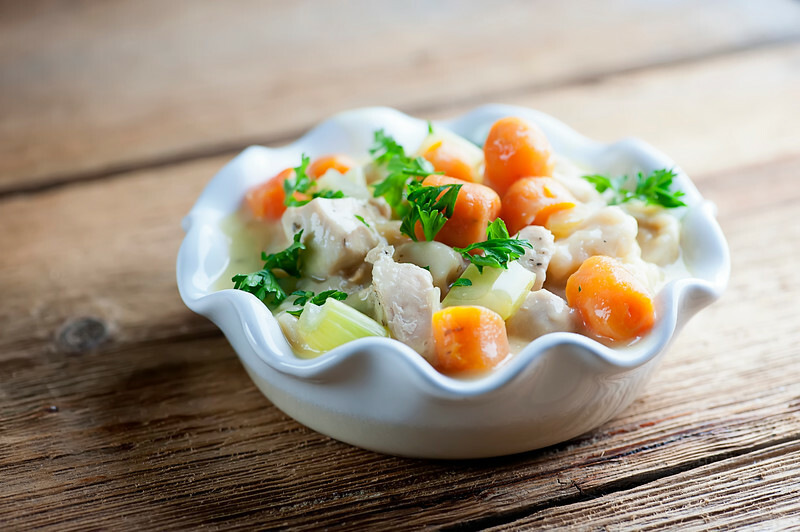 I do love me some chicken and dumplings in all kinds of ways – the classic version, the soup version – you name it, if it has “chicken” and “dumpling” in the title I am THERE. So you know that this was one of the very first recipes I needed to adapt for my Instant Pot, because the only thing better than chicken and dumplings is a recipe that makes chicken and dumplings in a super speedy way. Ready to get this comfort food favorite on the table lightning-fast? Let’s make it! Along with pastina and beef barley soup and pretty much any kind of pot pie, chicken and dumplings is at the very top of my comfort food list, and I’ve been in a serious comfort food type of mood lately. 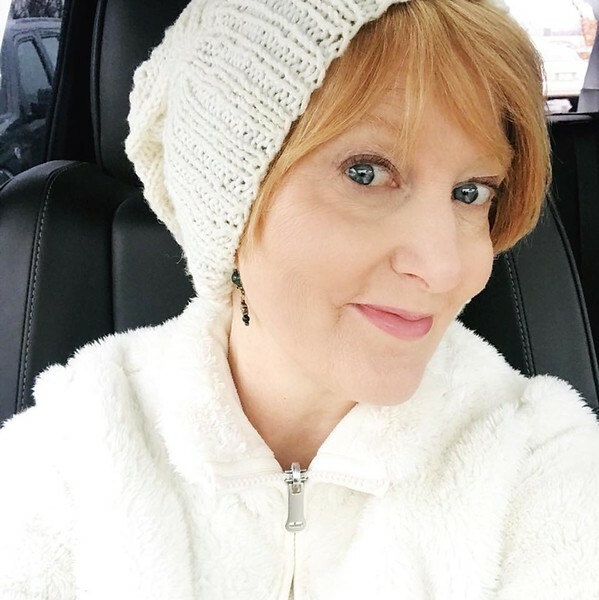 And since my mama has a sixth sense about comforting things (scones, Irish brown bread, etc etc) she out of the blue surprised me this weekend with the softest, coziest hat that she knitted for me, because she is magical. I figure between the hat and and snuggling under my favorite warm blanket to read FRANCE IS A FEAST I am on my way to high level comfort. The only way to top that would be, yep, a warm and wonderful bowl of Instant Pot chicken and dumplings. If you are on the fence about getting an Instant Pot, I’m here to tell you that this is one appliance that is totally worth the counter space. I do love it as a slow cooker, but I love it even more for its magical pressure cooker capabilities, which take all the anxiety out of the pressure cookers of old. 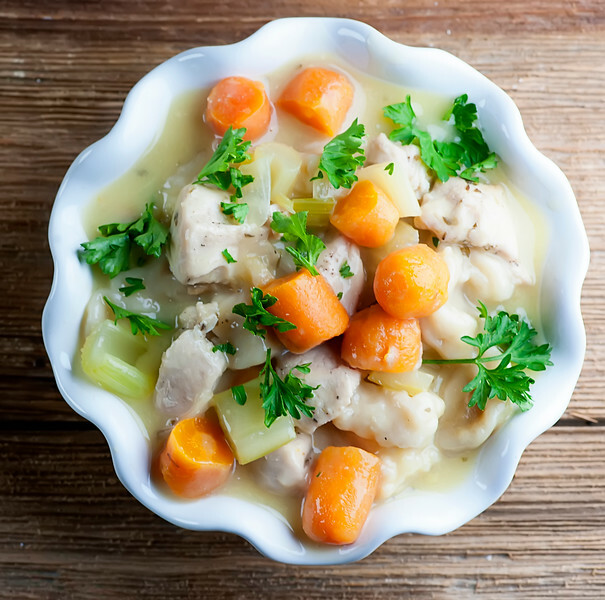 Among other things, it has a sauté feature that lets you brown things (like bite-sized pieces of chicken) right in the Instant Pot before adding everything else that goes into this easy recipe. Playing the part of the dumplings are a few refrigerated biscuits that you chop into pieces and stir right into the mixture. They will cook into substantial little dumplings that are just right with the light sauce. And adding to the joy of it all, once the pressure builds up in your Instant Pot, this takes just 5 minutes to magically transform into that bowl of deliciousness. Chicken and dumplings in a flash on a busy weeknight? YES PLEASE. Separate the biscuits and cut each one into 6-8 small pieces. Set aside. Cut the chicken into bite-sized chunks. Put the oil in the Instant Pot and press the Saute button. Add the chicken and the oregano and stir until the chicken is starting to brown. Press the Cancel button. Add chicken broth, carrots, onion and celery to the pot and stir. Add the cream of chicken soup and stir again. Lastly, add the chopped biscuits and stir one more time. Once the 5 minute cooking time is over, press Cancel again. Carefully open the venting knob to release the pressure. Open the pot and season to taste with salt and pepper, then spoon out your delectable chicken and dumplings into warm bowls. Top with fresh parsley and serve! I have not joined the Insta-Pot club. Yet. :) I keep seeing really tasty looking things, though. This may have just given me the nudge I need! Oh, YOU GOTTA. I just made bbq brisket in mine and I thought the Southern husband was going to keel over from happiness!